Yoga Teacher Training in the Happiest Country on Earth! Anamaya is offering a 200-hr yoga teacher training / teacher certification course. It will include lodging, 3 organic meals/day, excursions, and all the classwork you’ll need to become a certified yoga teacher! Cain Carroll’s 200 Hour TaoflowYoga Teacher Training Program upholds the highest standards of yoga instruction and practice, including in-depth training in yoga asana, pranayama, bandha, mudra, mantra, meditation, yogic/taoist philosophy, yoga for women, study of ancient texts, anatomy and physiology, therapeutic applications of yoga, the art of sequencing, diet and nutrition…and so much more. Graduates of this one month residential training leave Costa Rica fully prepared to teach yoga classes, and upon completion of the course work, receive certification as a Level One Taoflow Yoga instructor eligible for national recognition as an RYT (Registered Yoga Teacher) with the Yoga Alliance. 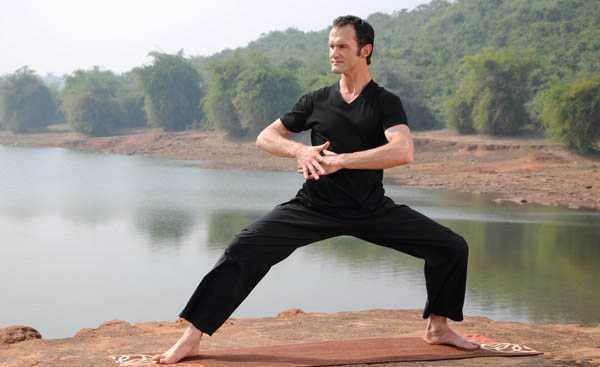 The result of over twenty years of research and development, Taoflow Yoga is a unique synthesis of yoga and qigong, fusing some of the most effective methods of movement, meditation and self-healing. The practice has a strong emphasis in postural alignment, joint mobility training, internal energy cultivation, and meditative breathing. Rooted in the time-tested principals of Oriental Medicine, Taoflow Yoga works to strengthen the body from the inside out, detoxifying and rejuvenating the internal organs, nourishing the joints, tendons and ligaments, and greatly increasing overall vitality. You’ll be amazed at how good you feel! Cain’s distinct approach to Yoga Teacher Training allows each student to feel honored and respected. He guides each student to cultivate a life-long practice and a unique teaching style relevant to their own particular talents and passions. In the program, you start where you are and work with your own strengths and challenges to discover a deep personal relationship to yoga. Above all, this program is a journey of self-discovery. Whether or not you want to teach yoga, the deepening of your study and practice of the yogic arts and sciences will enrich your life in unimaginable ways. Ultimately, the study of yoga is the study of your own self, and the realization of your highest potential in all aspects of your life. “This program has opened a doorway to positive transformation on deep personal, spiritual, material, and professional levels. Cain is a tremendously gifted teacher. He is able to unify concepts and movement practices in a magical way that will forever remain in my heart and inspire me to continue learning and training at a deeper level.” – Cheryl VanDemark, P.T. Tao Te Ching by Lao Tsu (A New Translation by Gia-Fu Feng and Jane English) – make sure to get the large format book with photographs. The Human Body: Your Body and How it Works (Random House Library of Knowledge) by Ruth Dowling Bruun, M.D. and Bertel Bruun, M.D. * The evening session will be held on select days. Includes everything but your books and travel! EXTRA DISCOUNT OFFER! Bring a friend with you and receive $200 off the price of your yoga teacher training! Or bring more friends and recieve $200 off for each friend that comes with you! To book your yoga retreat package contact us. Your 50% deposit will reserve your space.